We were very shocked to receive this complaint. To clarify, you have never been charged for the full vacation in question and you were promptly refunded the $99 deposit within 24-hours of your request to cancel your vacation package. Your reservation was secured with a $99 partial deposit. When you called to set your travel dates, you were advised that your dates fell within a “peak travel season” (recognized worldwide as heavy travel times) when higher rates are charged by the resorts. You refused to pay the price difference, demanded a cancellation, and promptly filed your first complaint. procedure to be followed in order to remove a complaint, you responded that your retraction statement was sufficient and would prefer to cancel your reservation rather than spend any more time on the issue. Your reservation was put on hold at that time pending the outcome of your complaint not being posted by PissedConsumer.com. To rectify the situation you were sent the Award Certificate for your FREE vacation and you have the direct dial number of the supervisor with whom you were working. We definitely think we have worked hard to resolve the issue as we pride ourselves in our customer service. This is a scam, they reel you in with a good price, then add costs and restrictions. Customer service is non existent, no supervisor to speak with either. They charged my credit card twice, and then added more charges to the end of the deal. Each step was just more, and more charges. Complete scam and waste of time, 3 phone calls and 3 hrs. Then when I tried to cancel, they hung up on me, when I called back I was on hold for 30min, only to have someone say they would "call me back to cancel." One of the worst experiences I have ever had. 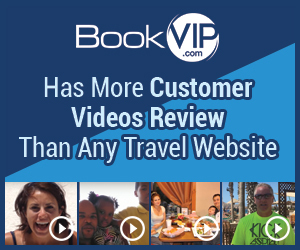 Go to another site, they are many that treat customers better than BookVIP.com. Do not waste your time or money. I didn't like: Lies, Company phone calling service, Put on long hold, Fees. Review #712207 is a subjective opinion of adamwsteffes. Bookit.com is a much better choice. Used them 5 times. Only one issue on one trip and appeared to be the hotel's fault. We paid for ocean front with balcony right over the beach, but received ocean view on the side. Moved us the second day and bumped us to Platinum to make up for it, which was acceptable to us. Bookit also has the best transportation to an from the airport - Best Day. The specials aren't quite at cheap as what Bookvip, but no bait and switch, and no time share pitch to sit through.